A senior Canadian official says the government will pardon those with a pot possession record of 30 grams or less. The official said Tuesday that those convicted of of 30 grams or less of marijuana will be eligible for a pardon, but they will have to apply for one. The official spoke on condition of anonymity because they were not authorized to speak publicly ahead of Wednesday's announcement. --Associated Press writer Rob Gillies. U.S. Customs and Border Protection is reiterating that marijuana remains illegal under U.S. federal law a day before Canada makes it legal. Executive Assistant Commissioner Todd Owen of the U.S. Customs and Border Protection Office of Field Operations said it's still viewed as illegal and possession of it at the border is subject to arrest and prosecution. Owen says admittance of past marijuana use could make a Canadian inadmissible. He also says a foreign national refusing to answer may make that person inadmissible. The point person for the Canadian government's legalization of pot says Canadians will know soon what will happen with previous criminal convictions for pot possession. Just hours before recreational marijuana becomes legal Wednesday, Minister of Border Security and Organized Crime Reduction Bill Blair said answers will be forthcoming shortly that will help Canadian understand the appropriate way those criminal records will be addressed. The former Toronto police chief says the issue could not be dealt with until the law was changed. Canada becomes the second and largest country with a legal national marijuana marketplace. Uruguay was first. This item has been corrected to say marijuana becomes legal on Wednesday, not Tuesday. 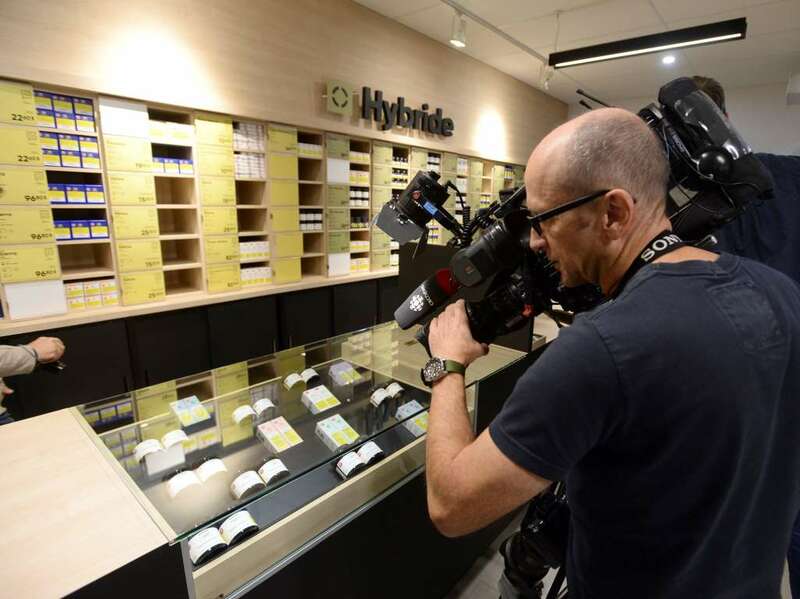 Canada will become the second and largest country with a legal, nationwide marijuana marketplace when sales begin at midnight in the easternmost province of Newfoundland. Tom Clarke will be among the first to legally sell recreational marijuana when his shop opens in Newfoundland. He has been dealing marijuana for 30 years and says his teenage self would love what he's doing with his life. Canadian Prime Minister Justin Trudeau's government has spent about two years planning for legalization, fueled by a desire to bring dealers like Clarke out of the black market and into a regulated system.